I grew up in Southern California until 1994 when my husband, son and I decided to move to Colorado. 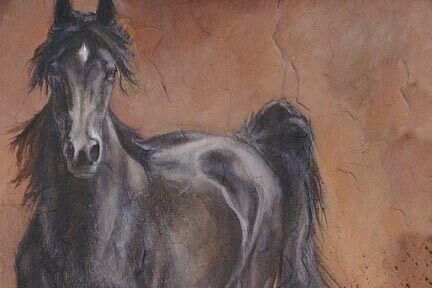 I’m a self-taught artist and started painting/drawing horses as soon as I could pick up a pencil. 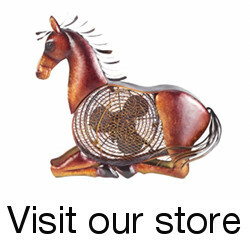 I got my first horse at the age of 9 after many relentless requests starting at age 3. I competed in several local rodeos in barrel racing and team penning. I’ve owned several horses up to about a year ago, yet my absolute favorite, was my barrel horse, Pistol. I’ve been an artist for over 30 years however, my career really didn’t kick start until about 12 years ago when I started painting on stone. A decidedly unique medium which offers a different type of canvas every time I paint. 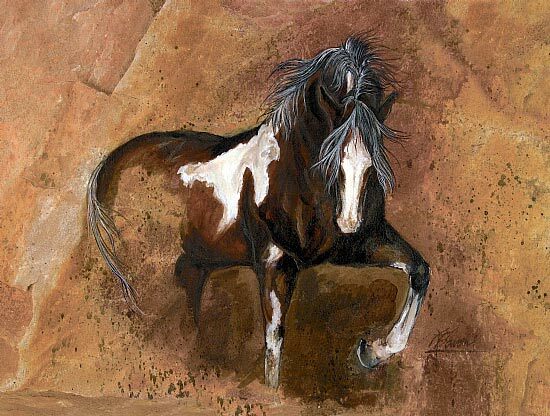 Utilizing the stones warm tones and natural textures has led me to explore new subjects such as; wildlife, canines and landscapes along with my beloved western horse. Now as a full time artist, I am having so much fun with such a challenging media. Every once in awhile the stone argues with me…but nothing a little chisel can’t take care of. Once the original is completed it seems to take on a personality of its own giving each subject a form of life. 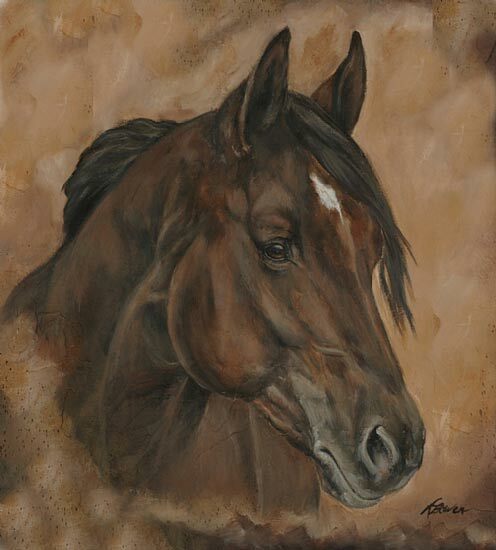 My work has been selected as the cover art for a recently published book called Musings with horses and humans. I’ve won a few awards and am currently displayed in homes, lodges, offices, galleries, sourcebook’s, magazines and catalogs. 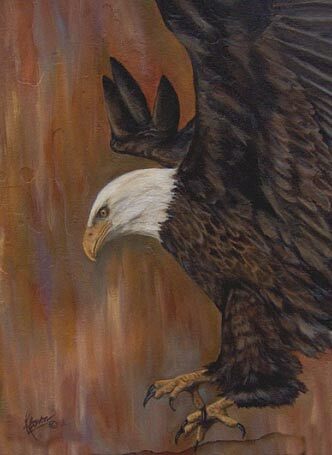 I participate yearly in juried exhibitions throughout the Western half of the United States and enjoy working on commissions and am always looking for new opportunities. I believe I was 3 years old. 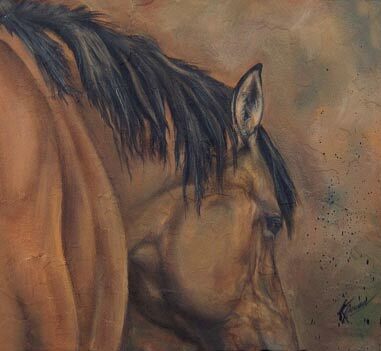 You paint more than just horses, what is your favorite subject to paint? 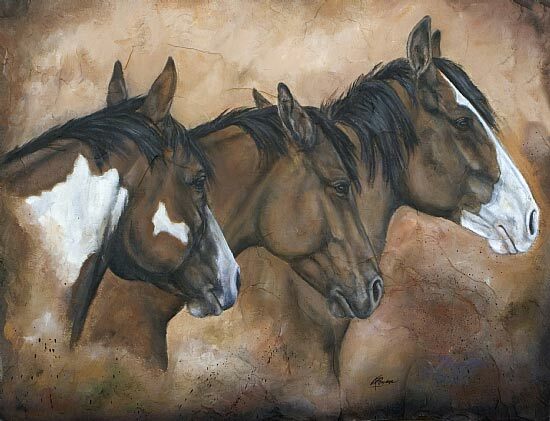 I love painting wildlife but horses are truly my favorite. They are much more challenging and such a beautiful creature. You paint on stone, what inspired you to use such a unique medium? In the past I used the conventional method of painting on paper or canvas. However, one summer, about 12 years ago, my family and I were on a vacation traveling through the state of Utah. We were following along a road that snaked around a river with large walls of red cliffs. I looked at my husband and said, “wouldn’t that be beautiful if I painted a bunch of wild horses running along that river? 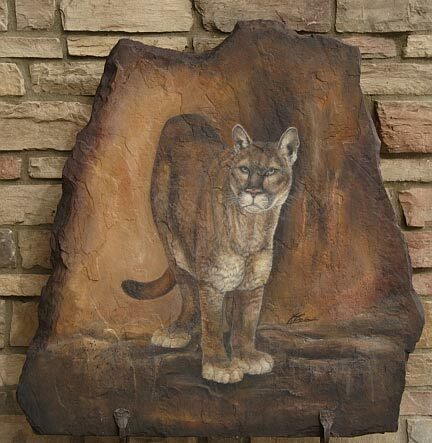 What a gorgeous backdrop.” We got to talking about it and as soon we returned home I found a small piece of flagstone and painted a horse on it. I placed it in a wrought iron stand, brought it to a local gallery and started to grow from there. Back then these paintings were about 6″x6″ and now range in size of 12″x12″ up to 4ft.x 5 ft. When preparing to work, do you select an image first or a stone first? Both, sometimes the stone has an image in it that needs to be brought out but, most of the time I have a photo or a picture in my head that I hand pick through an assortment for the right piece. Where do you get the stones you use? A landscape company near my home. I purchase large pieces then I break and shape them. I have so many…Chris Owen, Greg Beecham, Mark Kohler and Jim Clements to name a few. My horse pistol, I loved his personality and beautiful confirmation. I love to paint early in the mornings when its crisp and quiet. A tremendous amount, tons of exposure! Artists now have the ability to show their work at a larger levels than just galleries and shows. I’ve had great success. I’ve sold originals, prints and have been contacted by on-line galleries, magazines and catalog companies from all around the world. Its been possibilities that I may not have had if it wasn’t for the Internet. I love a lot of them…but some of my favorites are: Three Amigos, That’s A lot of Bull!, Don’t Mess with Me!, and Eyes of 50 Winters. Yes, absolutely, I used to get so attached to all my paintings but, I know that they go to good homes so its ok.
For the past couple of years, most of my clients send me wonderful letters and photos of where they hung the painting or displayed it. I stay in touch with many of them and see them repeatedly my shows. Spending time with my family, trail riding and working in the yard. I have just finished a painting of three buffalos and have started a painting of a prong horned antelope. 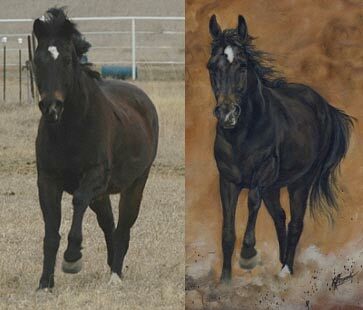 I have a couple of horse paintings lined up but haven’t decided which one I want to do first. Thanks to Kimberly for answering the interview and sharing her art. Be sure to check out her art website periodically for updates about her latest works. This entry was posted in Interviews on June 12, 2009 by The Equinest. Your work is lovely! Do you have it displayed anywhere in Parker? There are art and wine walks set up this summer… I bet your stuff would be popular. can i use some of your drawings in a project of mine?